We want to earn your trust and are dedicated to providing our patients with excellent care and personalized treatment plans and service. Dr. Zottola and his staff firmly believe in preventive dental education and corrective measures that can prevent tooth decay, gum disease and even tooth loss. This will lead to our patients having higher self-esteem levels and they'll live longer, healthier lives with beautiful and confident smiles. 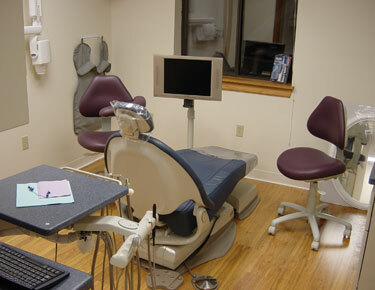 Dr. Zottola and his staff utilize the tried and trusted dental techniques combined with the latest dental technology. Because of our commitment to comprehensive dentistry, we employ the latest state-of-the-art technology which allows us to accurately diagnose, treat and create beautiful smiles. We offer both surgical and non-surgical periodontal treatments, sleep apnea appliances, Invisalign, and we have the ability to complete an implant case, start to finish, without the need for a referral. We offer cosmetic veneers, implant restorations and our dentures and bridges fit like they should! Dr. Zottola and his staff pledge to provide their patients with an honest assessment of their oral health condition. In doing so, our patients will be better educated to make the right decision regarding proposed treatment plan options which will ultimately to a happy, confident and healthy patient. Dr. Zottola completed his dental training at some of the most established and well respected dental programs in the United States. Dr. Zottola is fortunate to have studied under the direction of Dr. Jack Caton who is highly respected in the area of periodontal disease research. The Zottola Periodontal Group was established in late 2003 as he had established himself as a leader in his specialty. In 2006, Dr. Zottola achieved the highest levels of certification in periodontics. In short, it is Dr. Zottolas goal to bring his passion for general dentistry, cosmetic restorations and periodontal study to his patients and future patients.